It has been a wild couple of weeks. As you may or may not know, I've just signed a publishing contract with Rhemalda Publishing. Although I've been in this business long enough to know not to get all that excited about any forthcoming endeavor, I have to say that I've been really impressed with Rhemalda so far. In fact, they just sent me a 32 page marketing strategy that involves writing some blog entries, etc. Needless to say, work on promoting this upcoming book, plus the classes I'm taking (I'm getting my teacher's license because my wife is pregnant and that motivated me to get another credential for the resume...like only a pregnant wife can), plus the aforementioned pregnancy is keeping me almost too busy to do the work that I had planned for Swordreaver.com. However, all that is not to say that I've given up on the prospect of promoting new and upcoming writers. In fact, I think this is just about the most important thing I'm doing (right after the baby of course:). But I'm just starting to realize that I'm going to need a little more help from you the writers. When I examined my interviews up to this point, I realized that they pretty much all follow the same format. Therefore, I figured I'd write up about 10 "stock" questions and refer potential interviewees to them so that they could work up a document and send it to me. 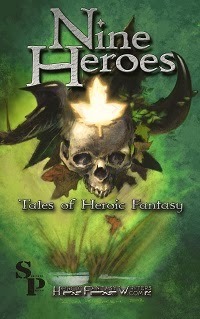 I can then follow up on this document and ask a few more questions before eventually publishing the whole thing on this page and promoting it on "Heroic Fantasy." Again, this whole interview/promotion thing is free, all I ask is that you invite your friends to join the "Heroic Fantasy" Facebook group (It's really in your best interest since the more people there are on that, the more people there are to potentially read your interview). I'm also thinking that I might need a few editors for posting things on to the Swordreaver.com page, if any of you are interested in that, please send an email to walterrhein at gmail dot com (a little understanding of how blogger works is preferred). 1. Can you tell us a little bit about "Insert Name of Your Novel Here?" 4. What was it like working with "Insert name of publisher here, and include URL so I can link to them"
7. Do you have any stories from book signings/radio interviews/etc.? 8. What is the name of your blog (include the URL to link to) and what can readers expect to find there? Please feel free to have as much fun as you can with these questions (the more you write, the more likely people are to buy your book). 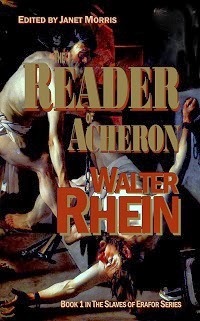 Also, make sure you send me a .jpg of your book cover that is at least 650 pixels wide (again, my email is walterrhein at gmail dot com, you can also contact Shells Walter for an interview at shellsinterviews at yahoo dot com--and she will probably get it posted faster than I will). 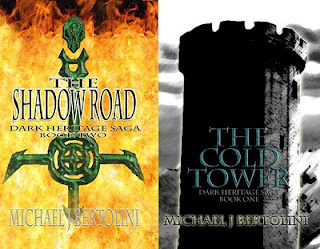 Words with Michael Bertolini author of "The Cold Tower"
I typed in your name on Amazon.com and got a whole list of items with the name Michael Bertolini, however, after looking a little further, it appeared that it appeared your work is distinct from the Michael Bertolini involved in “Star Blazers.” Is that correct, and have you been asked this question before? I have no connection with “Star Blazers” and to be honest I’ve never heard of it until you asked me. I’ve come to find that there are a lot of other Michael Bertolini’s out there; Michael is a very common name for boys born in 1984 and Bertolini seems to appear in all regions of Italy and indeed the US. Tell me about your background with writing. What inspires you, who are your influences? I started writing when I was in the sixth grade. 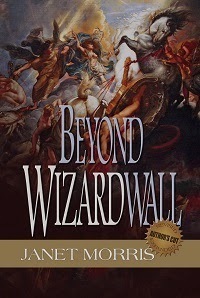 My first story (which I envisioned at the time to be a potentially bestselling novel but was only about thirteen pages long) was a sci-fi fantasy and a Young Adult Author that visited my school enjoyed reading it. (I wish I could remember her name but I can’t). “The Cold Tower” was written originally because I needed to develop a back story for my character, Amras Oronar, for my Dungeons and Dragons group. The story, which was about half the length of the current book but with a similar story structure, focused entirely on Amras; the idea of Isla didn’t come until I started writing the new version. Also, because the original story concept was based off of D&D material I needed to do a mass overhaul of many ideas. 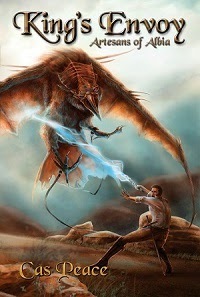 The fantastical creatures, characters, and magic are all inspired by the works of Tolkien, Pierce, and Greek mythology. The characters of Zara and Page came about as I was writing. I take place in an online contest every November called National Novel Writing Month (or NaNoWriMo for short) and it focuses on writing 50,000 words in thirty days. In the period of time the story begins to develop on its own, spawning new characters and plot twists just to keep moving to that 50,000+ word count. “The Shadow Road” was the natural continuation of TCT. Not only does it pick up where the first book left off, but it introduces the world (and in some respects myself) to the grander world of Scyllia. 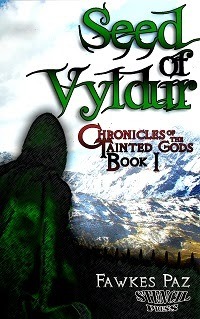 Characters such as Fingon Darkleaf, who only had a supporting role in the first book, develop their own story lines that add to dynamics of the adventure. I wrote this during the 2009 NaNoWriMo competition while I was editing the second draft of “The Cold Tower” which is why I was able to release this title just over four months after the first. What was your experience like working with Createspace? Despite what others had written on the site’s message boards about difficulty using the company I found it very easy to manage. They set up everything and explain the Print-On-Demand process extremely well. Compared to similar places I had looked into years ago Createspace is very cost effective which, from the perspective of a first time author, is essential. Other places asked the author to pay advances which, should the title be successful, would be reimbursed in the future. 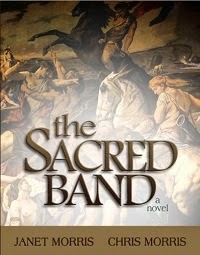 Createspace takes a percentage out of the price of the book, as would any publisher, and the rest is paid to me. What have the sales/reception been like? I wasn’t sure what to expect, to be honest. However, “The Cold Tower” sold very well with little more than word-of-mouth marketing. A few stores allowed me to put up advertisements for the book and I even managed to convince a couple of libraries to purchase and carry the title. The people that have read it, especially people that read the book because it was suggested to them (but they would normally never pick it up) has been fantastic. The biggest complement I have gotten from readers is that it is vivid and draws the reader into the world. I saw that you received a review from Apex Reviews. Is that a pay for review site? How effective was that as a marketing strategy? 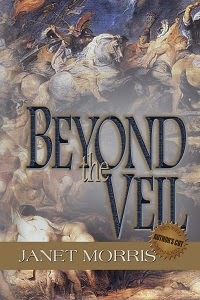 It is a pay for review site but it wasn’t that expensive and with reviews from them, and other reviewers, posted on amazon.com and shelfari.com it helps promote the book at a very cost efficient price. Since most review companies charge to review books I don’t feel that the book got a better review just because I paid for it. Do you have a link to the Apex review? I couldn't find it on their web page. Not at the moment. They’re still working on a video add for “The Cold Tower” which will be followed by an author interview. 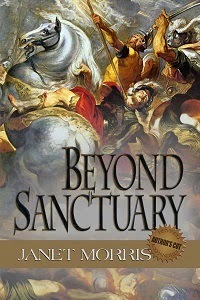 Who designed the covers for your books? I did. The cover for “The Cold Tower” was a composite of photographs from different places. The sky in the background was actually made from multiple cloud photos. For “The Shadow Road” I drew the inverted cross and skull myself before coloring and shaping it in Photoshop. What kind of thing can one expect to find on your blog? On my website’s blog I tend to post more about my writing that anything else while on Facebook I post about more everyday stuff, movies, etc. This is the hardest question to answer; almost as bad as describe yourself in a paragraph. I’m an artist at heart; I write, I draw, I play music, I’ve even tried to paint unsuccessfully-I plan to keep creating things as long as I can. 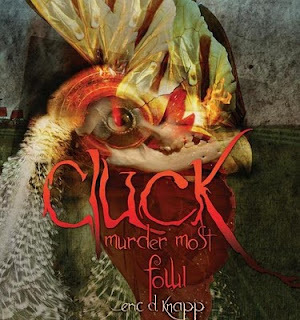 Words with Eric D. Knapp Author of "Cluck: Murder Most Fowl"
"Cluck: Murder Most Fowl" is a story about an undead chicken. I'm tempted to just say that says it all and leave it at that...but could you please elaborate on the novel for us? Cluck is a story about undead chickens, that's true, but more importantly it's a story of growth and perseverance. The story covers the life of our hero from his early childhood. As happens to most people at some point in their lives, he finds himself in an unpredicted situation and he has to deal with it. Part of any character's growth involves the revelation that there are both positive and negative aspects to any circumstance, and learning how to deal with that. In this case, that circumstance just happen to involve undead chickens, and a secret organization of chicken exorcists, and -- as the title suggests -- a murder. So yes, you can certainly summarize Cluck as a story about undead chickens, and I often do. As a reader, if that thought sounds funny or intriguing in any way, you'll probably like Cluck, and so maybe that's enough information. For those looking for something deeper, Cluck is also about dealing with those uncontrollable influences in your life, coming to terms with them, and finding peace. My primary goal when writing Cluck was to make it fun, so rather than preach that message, I show it through a logical parallel: the conflict between a French chicken exorcist and a giant zombie rooster. 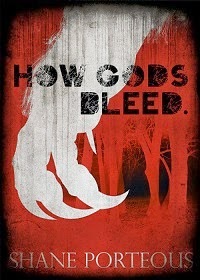 It certainly made it a lot more fun to write, and the end result is a story that straddles between humor and horror and fantasy, and yet somehow manages to taste like literary fiction. What prompted you to create "Cluck?" There were a few motivating factors behind Cluck. I earn my living predominantly by writing technical papers and marketing materials, so when I write fiction I tend to aim more towards the other half of my brain: diving deep into the fantastic, and trying to create characters and environments that no one has read about before. That's why my fiction writing tends to be "excessively creative," as one critic put it (I chose to take that as a compliment, by the way). But believe it or not, "Cluck" originally started with a dream. Seriously. Stay up really late watching horror movies, go to sleep to the sound of a rooster crowing at a full moon, and you'll understand. I had a dream, woke up, scrambled for my laptop, and wrote it down as quickly as possible. It was crazy, and silly, and I asked myself "could this ever be a real story?" The answer was obviously "yes," although the dream itself only defined the initial premise. It was a great start, though: the concept of shambling undead chickens, at once frightening and ridiculous ... it's just so vivid. A pivotal element of Cluck's premise is that everything has a soul, which certainly explains the existence of undead chickens. Take that a step further, though, and you have a world where anyone who is in tune with the spirit world is also in tune with just about everything around them. That means that a house or a car can have a personality and even interact with the "real world" to a certain degree. The end result is a setting that's fun to write in, and hopefully enjoyable to read about. Another shaping influence is my own love of the "horror comedy" genre. I'm a firm believer that horror and comedy belong together, because when we feel uncomfortable about something, we instinctively look to laughter as a defense. That's why I often classify Cluck as "Horror Comedy" rather than "Fantasy" … because I'm such a fan of that psychological synergy. Cluck is really tame for a "horror" book, though. After all, undead chickens aren't particularly menacing. Sure, they haunt and hunt, but they do it from the perspective of one of the lowest creatures on the food chain. P.S. Yes, I'm a huge fan of Bruce Campbell's Evil Dead trilogy, and still hope that some day he'll play the lead in "Cluck: the Movie". "Cluck" seems to have been pretty well received critically. I see that it was a Finalist for the ForeWord Magazine Book of the Year Award, and got a bronze medal at the Independent Publisher Book Award. Can you tell us a little bit more about these competitions? Cluck has been very well received. Despite my own lack of business savvy and a practically non-existent promotional effort, Cluck has done well and has been getting great reviews, and I've even developed a small but growing fan base of cluck-ites. To me, personally, that's even more important than winning awards. As a struggling author, however, I can't ignore the validation of winning a contest. Cluck's awards raised me from being a self published author (read: a hack) to being an award winning self published author (read: a hack with some talent). I joke about it, but being self published carries a stigma. Despite the fact that many skilled writers have very good reasons for self publishing, many people self publish because they think that being "a writer" means having both a) fingers, and b) a word processor. So, if you self-publish and you want to be taken at least somewhat seriously in the book business, validation is important. In terms of ForeWord and the Independent Publishers Book Award (or "IPPY"), both contests were professionally run and fair, and both attract a huge number of contestants. There's an entry fee, which weeds out the less serious--some people see that as a negative, but I see it as adding credibility to the contest, and therefore the award should you receive it. In my case, I was a finalist in both contests, and so I flew off to Book Expo America (which was in LA that year) to sit through the award ceremonies. Although I won the IPPY and lost the ForeWord award, both were amazing experiences. Interestingly, losing the ForeWord award made me feel more like a "real writer" … I had raised my hopes and they'd been dashed against the rocks, but it didn't really bother me. I'd finally grown the proverbial "thick skin" that authors are supposed to need in order to survive, and it hadn't even required surgery. The experience of winning the bronze IPPY was absolutely surreal. There was a big ceremony, and as they announced your name, you walked up and had a medal placed around your neck. It felt like I was in the final scene of Star Wars: A New Hope, when Princess Leia places the medal around Luke Skywalker's neck. Like I said: surreal. I mean, Luke got a medal for saving thousands of lives and defeating Darth Vadar, and I got a medal just like his for writing a book--and I didn't even have to kiss my sister to get mine. Are there any more award competitions you can recommend people send their novels to? There are a lot of competitions, and you'll only win them if you a) enter, and b) you write a top-notch book. To that end, write a good book, and then enter every contest that your book qualifies for (after spending some time researching each to make sure they're credible, of course). What effect has sending your novel off to these competitions had on your sales/visibility? Not much visibility in terms of immediate sales, although as I mentioned the validation of an award does help break through the stigma of being self published. I'm not sure if it was the awards, or the growing word of mouth around Cluck, but for me the validation has paid off ... I've won the attention of a 'real' publisher for "Cluck: Murder Most Fowl" and hopefully for the upcoming sequel, "Quack: Murder Most Waterfowl". Actually, I bet a strong Amazon sales rank could help my chances ... quick! Stop reading this and go buy ten copies of Cluck. Please? 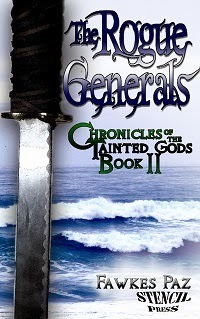 Do you do any book signings, etc.? What are your methods of promotion and how effective have they been? I've done a few signings, and they are helpful. They can also be fun: it's almost a guarantee that people looking for signed copies of a book about dead chickens are going to be interesting. If you do a book signing, make sure the local papers (in whatever area the signing is going to be) know about it. For one thing, it will help drive attendance so you won't have to sit around bored for a few hours, and for another, people who will never step inside a physical bookstore might take note and order your book online. What is BookSurge Publishing and how effective would you say it was for you? BookSurge was an Amazon company for POD-based self-publishing, which has since been absorbed into CreateSpace. At the time, I chose BookSurge because they allowed me to do my own design and layout, giving me 100% control over how the book would look. To that end it was very effective: the book looks great (in my own humble opinion). However, any POD self publishing company is going to only get you to the point that you'll have a book that can be sold online. Any company that asks you to pay to publish a book falls into this category, and you shouldn't expect them to provide any real services for you beyond that. The hard work (writing, editing, marketing, etc) is going to be up to you. Approximately how many copies of "Cluck" have you managed to move? I honestly don't keep close track, but I'd say somewhere shy of a thousand copies over a period of a couple of years. I don't do a lot of active promotions, though. Your other novel "Out of Place Out of Time" was selected for a special publishing program with iUniverse. What was the name of that program? How effective was it? Out of Place Out of Time (which I refer to as OOPOOT, because the title is just too long) was selected for iUniverse's "Editor's Choice" program, which supposedly puts your books in physical Barnes & Nobel stores if it sells more than so many copies. I have no visibility into what actually happens behind the scenes at iUniverse to support that, if anything. Self publishing options change almost daily, though, so my advice is to do your research in any case. These companies compete with each other, so there are always new services and programs being offered. I'll say this as well: don't discount traditional publishing just because it's hard work to get published that way. There are many good reasons to self publish, and I'm a huge fan of independent publishing in general, but it's only one of several options, and you should consider them all. What prompted the switch to BookSurge? The two books were published far enough apart that I completely reassessed all of the available options. I was trying to the raise the bar of self publishing with Cluck, and BookSurge was the only option at the time that allowed for me to create my own interior and exterior layout ... at least that I was aware of. Cluck is illustrated, too ... and most self publishing companies charge extra per illustration. By producing my own book block, I avoided all that. I'm currently working on a few projects, including the above-mentioned sequel to Cluck. Some other stories that are rattling around in my head include a cyberpunk thriller about high-tech information espionage, which I'm looking forward to putting on paper. Not many people know this about me, but I'm actually not as crazy as I seem. Almost, but not quite. Be sure to check out Eric's web page here! Hello and welcome to the 2nd edition of the once monthly (so as not to clutter up your inboxes) "Heroic Fantasy" newsletter. This has been a great month with an explosion of members adding themselves to the "Heroic Fantasy" group. It's now up to 1,500+ and growing every day! 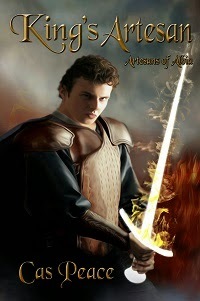 May was also a huge month for me personally since it saw the publication of my novel "Dominvs" by epress (check it out here). "Dominvs" was originally written back in 2006 at the request of a couple of gamers who'd come across one of my short stories and decided I was an ideal candidate to create a fantasy world for their conceptual video game. In the end, the game never took off, but my novel did (although it's been a long time coming in getting it in print). The only thing available now are the e-versions. I'll let you know when the print versions are available. May also saw me join the Rhemalda publishing family as they have just offered me a contract for my novel "The Bone Sword." I came across Rhemalda after doing an interview with their fantasy writer J.S. Chancellor. She is currently accepting submissions for an upcoming print publication (go here for details). I'm also currently accepting submissions for Swordreaver.com. Essentially what I do on my page is give your story a quick rating (Rhein Rating) and then publish it with the hope that other people will lend their opinion. I don't claim to be right on every one of my assessments, and I'd love to hear how people disagree with me (nobody's an expert after all). Keep in mind as you look the short stories over, that I'm an exceptionally difficult grader. A Rhein Rating of 5 is a very good story. For an example of a 10, you'd have to submit something as good as "A Sound of Thunder" by Ray Bradbury (which is essentially impossible so don't even worry too much about it). What I've found throughout the years editing people's work is that there are a lot of really great ideas out there, but the problems mostly come in the basic mechanics of how a story is told. I don't like rejecting people outright (because no knowledge is transfered). Instead, I like to point out a couple flaws that are detracting from the tale, and use the story as a resource for writers to get better (this could potentially become overwhelming, so we'll see how long I can sustain it). Also this month, I have a series of some great interviews with some fantastic authors, and a list of publishers that I've come across by doing these interviews. So make sure you check all these articles out! Who knows, if you're trying to get a work published, you may just find your publisher through "Heroic Fantasy" (don't forget to invite your friends to join)! M.D. Griffith Author of "Alec Thrace and the Lost Medallion"
Rick Chesler Author of "Wired Kingdom"
Kristy Brown Author of "Kiera's Quest"
Cassandra Jade Author of "Death's Daughter"
Words with Cassandra Jade, author of "Death's Daughter"
Can you tell us a little bit about Death's Daughter ? 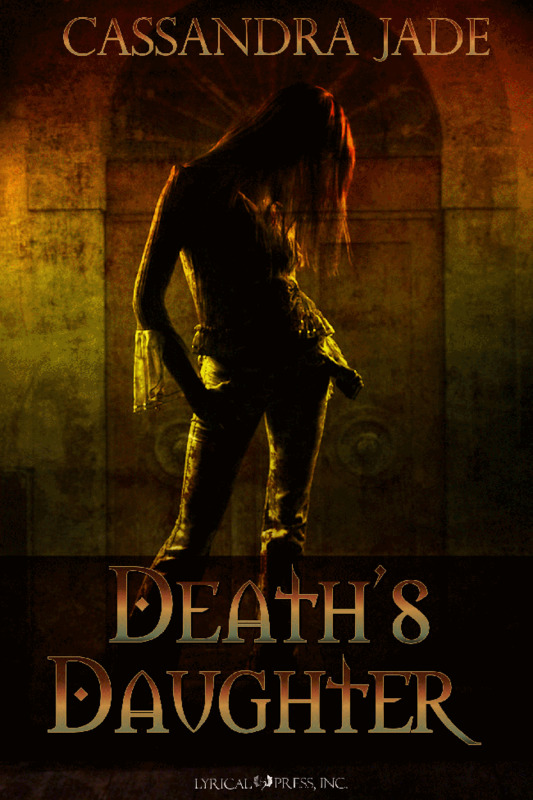 Death’s Daughter is the story of Calandra, a seventeen year old girl who thinks she has her life sorted out if only she can get out from underneath the influence of her mother. However, she soon discovers that what she wants doesn’t really count for very much and her life takes some very strange turns once gods and destinies come into play. 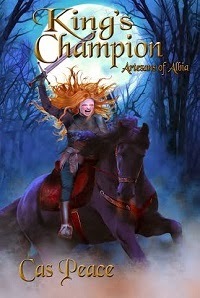 I don’t know that I have influences, but I do like reading fantasy that focuses on female protagonists and that deals with character conflicts rather than epic battles. The worlds may be falling apart but the emphasis is on the development of the character. That said I would have to put Katherine Kerr and Traci Harding as two writers I have loved reading growing up and have probably influenced my writing. I’ve always loved writing and telling stories. I’ve also always loved reading and immersing myself in far off lands and magical places. During my studies to become an English teacher I always enjoyed the subjects where I would get to read and analyse novels and really discuss the writing. How did you come into contact with Lyrical Press? Mostly I was looking at possible publishing opportunities and I found out about Lyrical Press from another writer’s blog. I’m not sure how or why but when I had a look at the Lyrical Press homepage they were looking for fantasy. I did a little more research and decided to send them Death’s Daughter. What were the editing and promotional processes like with Lyrical Press? The editing process was a real eye-opener. 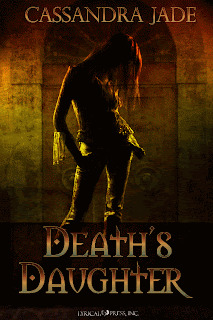 Nerine Dorman, the editor for Death’s Daughter, kept in close contact, letting me know what was happening and when she sent back the manuscript for further editing and rewrites she was really helpful in answering any questions about what was wanted or needed. I learned a lot from going through this process about my own writing and found it to be a really positive experience. Do you have a blog or a web page where your writing is featured? I have a blog, Cassandra Jade in the Realm, where I discuss my thoughts on writing but I don’t really post my writing. Mostly I like to talk with other people going through the writing process and discuss what works for them and share ideas. 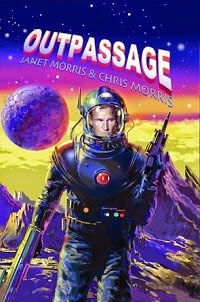 Who did the cover art to your novel? Can you describe what's going on in the image? Renee Rocco put the cover together. The figure is more symbolic of the protagonist’s character than a physical representation of her. The door behind her is both literal and figurative. There are quite a few doors in the story but it also represents the choices Calandra will make. I really liked this cover because it just feels right for the story and really conveys the sense of mystery and uncertainty that Calandra experiences. Does Lyrical Press have a print version of their books? Some of their books have a print version. I have a few projects in editing stages, one is a young adult story while the other is actually more of an epic fantasy but both projects have a lot of work to go. I’ve just started working on a new concept and am really enjoying the drafting stages of it. 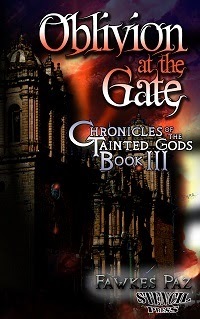 It is kind of a mix of fantasy and adventure with a little bit of romance thrown in. There are so many story ideas that I would love to develop so I think I’m going to be kept busy as far as writing for awhile. Since Death’s Daughter was published I’ve had a few people ask me for advice about writing and getting published. My idea about writing hasn’t changed from before I was published. You need to write because you love to write, not because you want to get published. I think if you focus on the writing and making the story the best that you can at the time, you will feel that you’ve accomplished something amazing when you hold that first print out of your completed work.